The brunch to end all brunches! 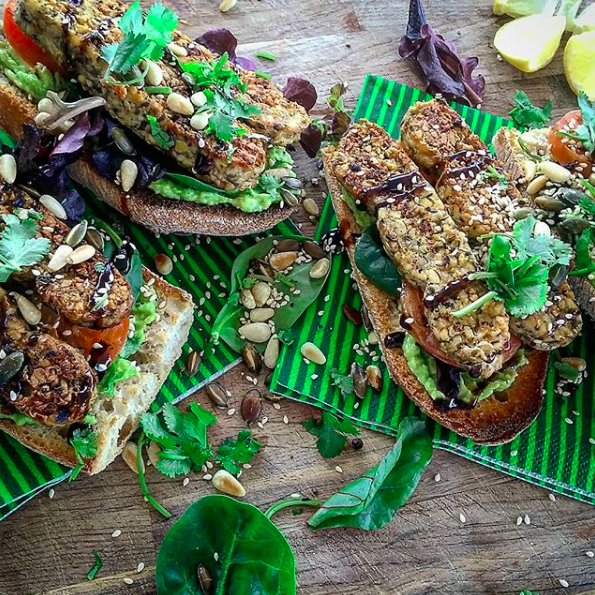 Smashed avocado on toasted ciabatta with garlic & herb #tempeh, a balsamic drizzle and toasted super seeds! This isn’t so much a recipe as a really simple ‘build it’ yourself DIY style recipe, the great thing is you can add or take away whatever you fancy! The choice is yours….exactly how a weekend brunch should be.